Offering you a complete choice of products which include vietnam white raw agarbatti, black raw agarbatti, black agarbatti, white raw agarbatti, metallic colour raw agarbatti and talisman agarbatti. We are offering Vietnam White Raw Agarbatti to our clients. 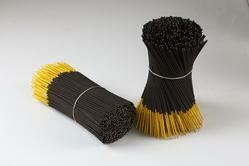 We are offering Black Raw Agarbatti to our clients. 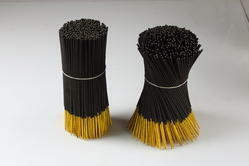 We are offering Black Raw Agarbatti to our client. 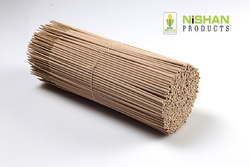 We are one of the leading Manufacturers of White Raw Agarbatti with premium quality . 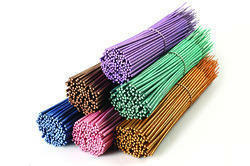 We are offering Metallic Colour Raw Agarbatti to our client. 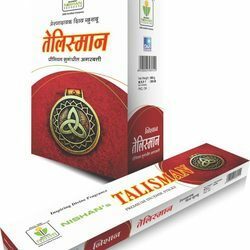 We are offering Talisman Agarbatti to our clients. 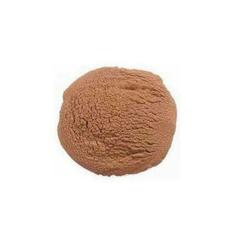 We deal in Latex Dhoop Batti Raw Material.We obligated to meet the quality standards as per the customer demand.